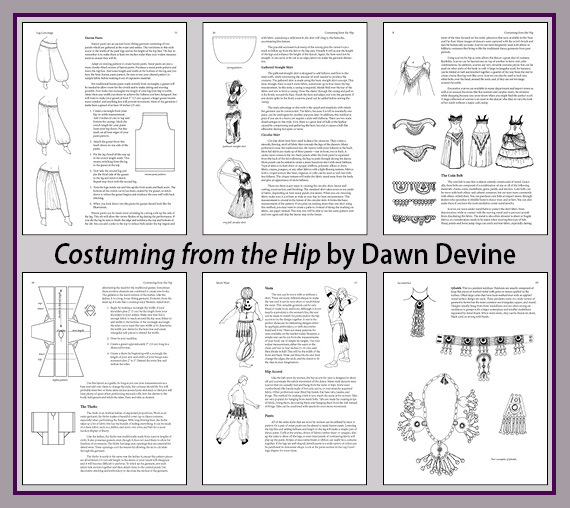 Costuming from the Hip is a comprehensive reference for anyone who works with Middle Eastern dance-wear. Dancers, costume makers, designers, and historical re-enactors will like the many illustrations, historical patterns, construction techniques, and hundreds of hints and tips. This 118-page book will take you step-by-step through measuring your body, researching your costume, laying out the patterns, fitting it, and accessorizing your creation. An extensive bibliography and a list of mail-order resources is included. She has degrees in both Art History and Fashion Design.